There’s a lot to love about Seattle: walkability, the food scene, beautiful scenery, quirky sights (gum wall, anyone? ), but living here comes at a hefty price. Seattle’s population has increased by 18.7 percent since 2010, ranking it among the top four fastest-growing major cities, according to U.S. Census data. While its popularity is a powerful nod to a booming economy and growing tech culture, the cost of living is becoming more difficult for current residents to manage. Indeed, living within the city limits is 49 percent more expensive than the national average, according to data collected by PayScale, and housing prices are painful. 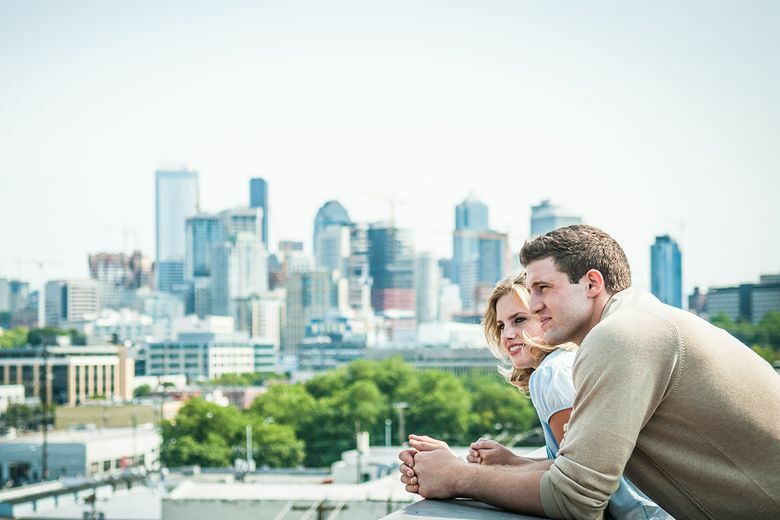 A separate analysis by Rainmaker Insights reported the average Seattle rental will set you back $2,176 a month. When it comes to home buying, you can expect to pay $777,000 within the city limits and $950,000 on the Eastside. Making the most of your housing budget means understanding exactly how much you can comfortably afford. If you’re a renter, the 50/20/30 approach suggests that you spend 50 percent of your after-tax income on fixed costs (like housing, utilities and groceries), 20 percent on savings and debt repayments, and 30 percent on flexible recreational expenses (like vacations, concert tickets or other extras that aren’t necessities). Aspiring homeowners face more stringent rules under federal mortgage regulations with the 28/36 rule, which limits mortgage costs to 28 percent of your gross monthly income, including monthly principal, interest, property taxes, insurance and housing association fees. The second part of the rule requires your overall debt not to exceed 36 percent of your gross monthly income, including housing, auto loans, student loans and credit cards. Sites like Amica’s provide online calculators to help you create a rough estimate of what you can afford, whether you are renting or buying . Reaching out to a real estate broker is also a wise move. A professional can help you get a realistic sense of the housing market in Seattle and the surrounding areas. Where will I feel happiest? Prioritizing your happiness isn’t a frivolous task. In fact, studies have shown that a positive outlook on life is directly linked to long-term health, including reduced stress levels, blood pressure and weight. In a 2017 study published in the journal Psychological Science, psychologists from the University of Wisconsin-Madison reported that happiness levels in American adults are a strong predictor of cardiovascular disease, and subjects who felt happier saw improved health markers in their daily lives. How important is walkability? Am I willing to drive to certain locations? How often do I want to go out? Are nearby restaurants and entertainment important to me? Do I want private outdoor space? Which area is best for me in terms of commuting to work? How will my needs change in the next few years? Which area is best positioned to meet my long-term needs? Finding the perfect home is a deeply personal choice that requires careful planning and introspection. Narrow your focus by seeking the help of experts, defining your lifestyle and doing some math.